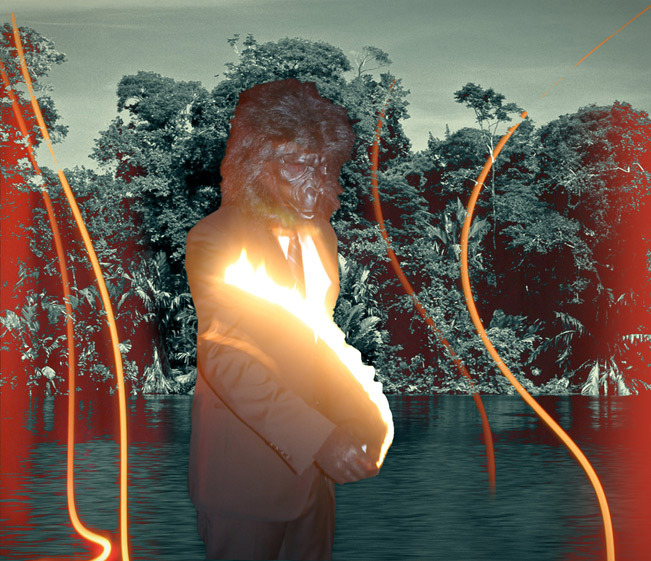 Traversing surf-rock sounds, avant-rock, rhythmic complexities, jazz improvisations, and folk melodies, Atomic Ape is a musical amalgam of the utmost rarity. Composer and multi-instrumentalist Jason Schimmel—having honed his craft in Estradasphere, Secret Chiefs 3, Orange Tulip Conspiracy, and others—leads this ever-shifting ensemble with energy, melody, layers, and dynamics as only he can. 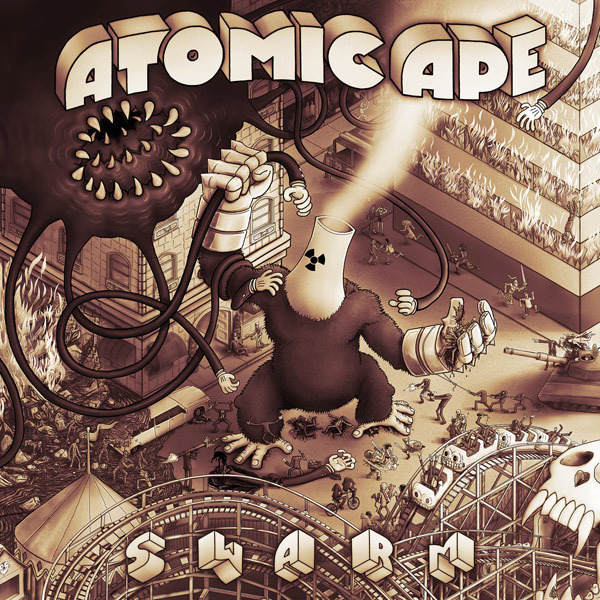 Like a soundtrack to an imaginary spy thriller, Atomic Ape offers a journey to a wild world where prog rock meets exotica, metal, Eastern European motifs, and avant-garde sensibilities. Heavily orchestrated, odd-metered, and highly animated, this melodic mutation splices dexterous musicianship with expert songcraft. This artist has no shows currently listed in the Calendar. Here's some good news for fans of meticulously crafted instrumental music and records with major production efforts behind them. Mimicry Recordings artists formerly known as "Orange Tulip Conspiracy" have returned with a new lineup, a new sound, a new name -Atomic Ape- and most exciting of all, a new album called Swarm. The now-LA-based unit is still led by Jason Schimmel (Estradasphere), who has been honing this project for many years at studios in Seattle, San Francisco, and most notably at his formidable commercial studio in LA, The Bunker. He says it took over 4 years to record from beginning it to completing it... maybe he contracted some time-dilating virus during his time playing bass in Secret Chiefs 3 (rumors of him working on some of these tunes as far back as 2008 have been circulated). Also there's the cast of 25 musicians involved beyond the core live band, among them Mimicry-familiar names like Trey Spruance, Eyvind Kang, Tim Young, Devin Hoff, Jessika Kenney, Dave Abramson, Timba Harris, Steve Moore, and other heavy luminaries like Joe Doria, Danny Frankel, and Mike Stone. With the ethic of seeing something worth doing all the way through, and doing things the hard-but-right way for the musical aesthetics of the project, Swarm was mixed to 1/2" tape using only analog outboard equipment (this last step manned by the eminently capable Mimicry-familiar Justin Phelps). It's details like this - above all the care and consideration - that make the surf-drenched alternate universe of lost TV-land cop show soundtracks with 80 billion styles of music found on this record actually work - brilliantly. Mimicry is always proud to offer records like this one, those self-produced obsessions that go beyond the man hours, the massive track counts, the densely layered sections, meticulous packaging and art, and the dizzying range of musical styles and performances from all those heavy players... beyond all that, into the details!